Every time I walk into the craft store I am tempted to buy all of the cute holiday fabric that they have on display, but being someone who doesn't really sew, I have to resist. 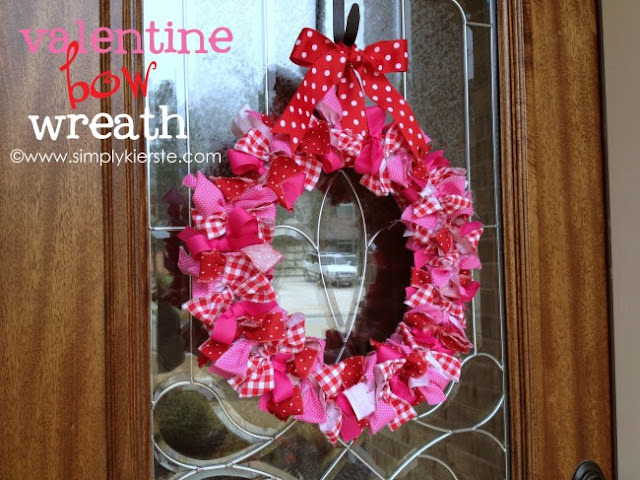 This fun Valentine bow wreath that Kierste made gives me the perfect excuse to buy some next time! And if you already have some on hand, it is a great way to use up your scrap fabric! You can check out how to make a fabric bow Valentine's Day wreath over at Simply Kierste.